Bed-sharing is helping my marriage. OK, it’s way more complicated than that, but here’s the thing… When I wanted to bed share and my wife didn’t, and we tried for months to get her to stay in her crib, fighting with her, fighting ourselves at 2am when we just wanted to give up and bring her to our bed, it was hard on us. I resented my wife for pushing for Avery’s night time independence. My wife didn’t deserve resentment, and she felt like an evil outsider with me and Avery in cahoots. But baby/toddler sleep issues are tough on everything, especially marriage. Avery still starts out the night in her toddler bed, but since she got sick again a week ago, she is welcomed into our bed after we go to bed for the night. My wife welcomes her. Avery wakes up happy in the morning, grabs her Mo by the ears, and gives her a big kiss. It makes my wife happy. We’re no longer silently fighting each other on what to do about sleep. Sure, we sleep toddler-width apart (which is like 5 feet, it seems), and we haven’t been giving each other the physical attention we need to give, but just being on the same side of the argument for a change is so refreshing. *The pic is of us at my wife’s work Christmas party, free from the stress of bedtime for the first and only night of our lives as parents. My new year’s resolution was to master sourdough bread making. Those who’ve been following me for a while know I’m interested in self-sufficiency when it comes to food. I grow a lot of our food in the garden, and I’m an official crazy chicken lady with my backyard chickens. I bake bread to feed my family almost every week, but I’d never dabbled in sourdough. Sourdough appeals to me because you can start with nothing more than flour and water and in the end you get a super nutritious and (hopefully) delicious bread. I also like the idea of catching wild yeast! So I took the first step. 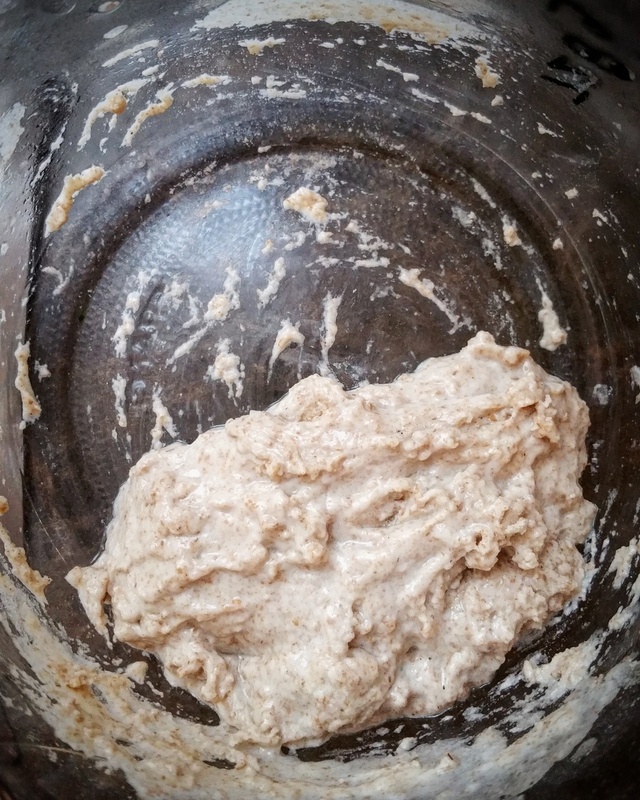 I’m working on making a sourdough starter, using organic whole wheat flour and water. I’m on day 2 of feeding it and I haven’t seen any bubbling showing that its active, but it still smells and looks good, so I’m hopeful it will soon become home to a healthy colony of yeast and in a couple of weeks I can try making a loaf with it! I got a bit of work done on my dissertation proposal edits today because my wife took the kiddo to the local butterfly conservatory again. She loves that place. Today was the first time Avery had zero naps. I tried to get her down twice, and she even laid herself down in bed and looked sleepy, but just never drifted off. It was an emotional afternoon, but she fell asleep at bedtime in the blink of an eye (as opposed to the usual hour). I also reached 300 followers today, which is so awesome! 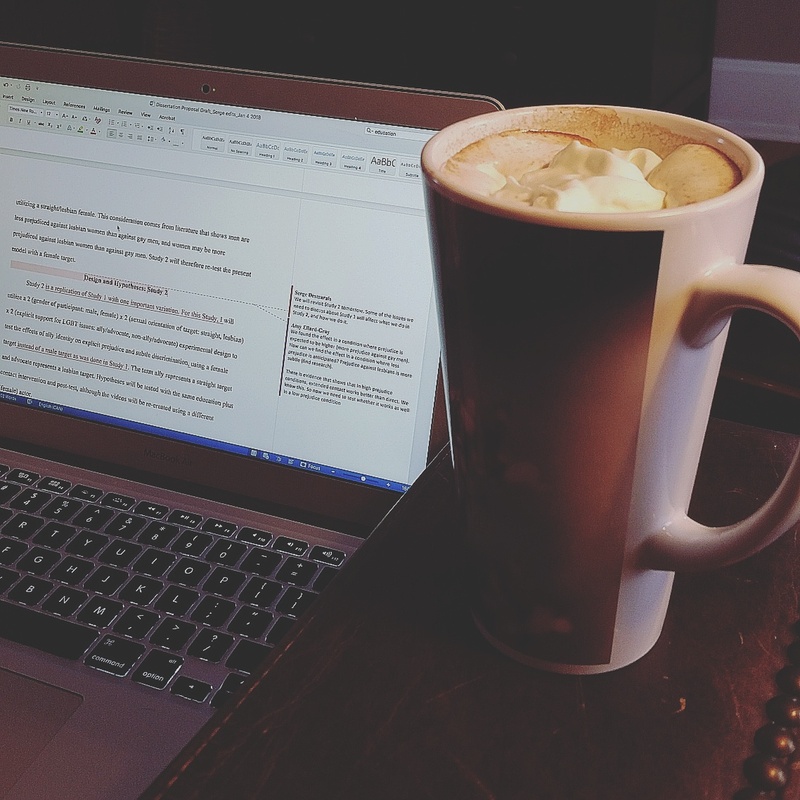 I remember when 200 seemed so far away… I hope that most of my followers actually enjoy reading some of what I share. If you’re reading this, thank you! I really love being able to share my life with you. 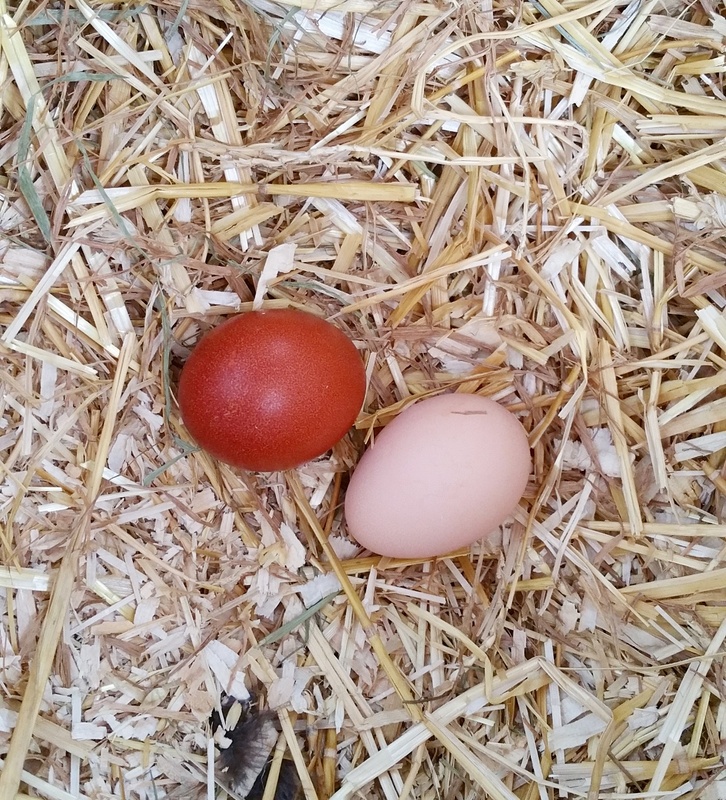 My chickens are laying again! Well, the one mature one is laying again. The eggs stopped coming when the days got shorter in early November, but for the past 3 days I’ve gotten an egg a day from good old Minerva. 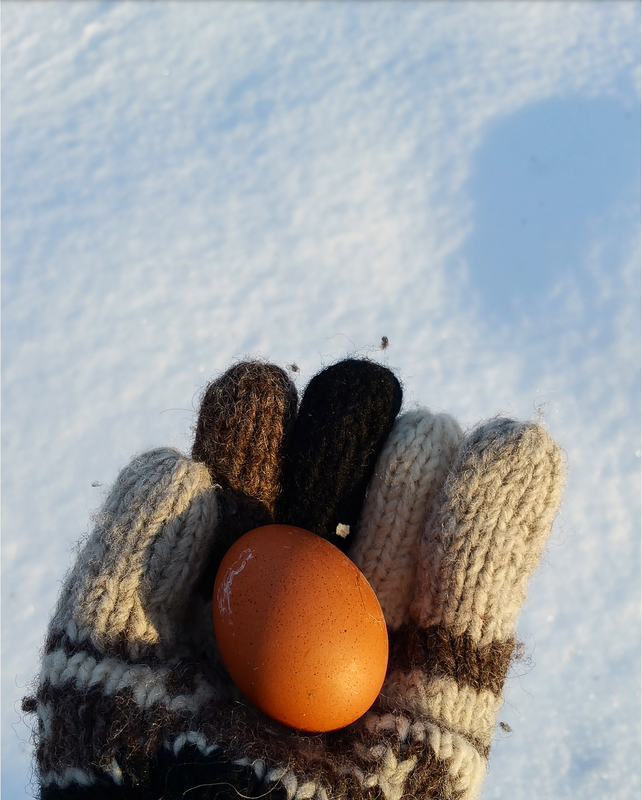 There’s something so satisfying about picking up a warm, fresh egg from a comfy nest of straw and having it warm your palm as you carry it to the house through – 20°C weather. I love my backyard chickens. 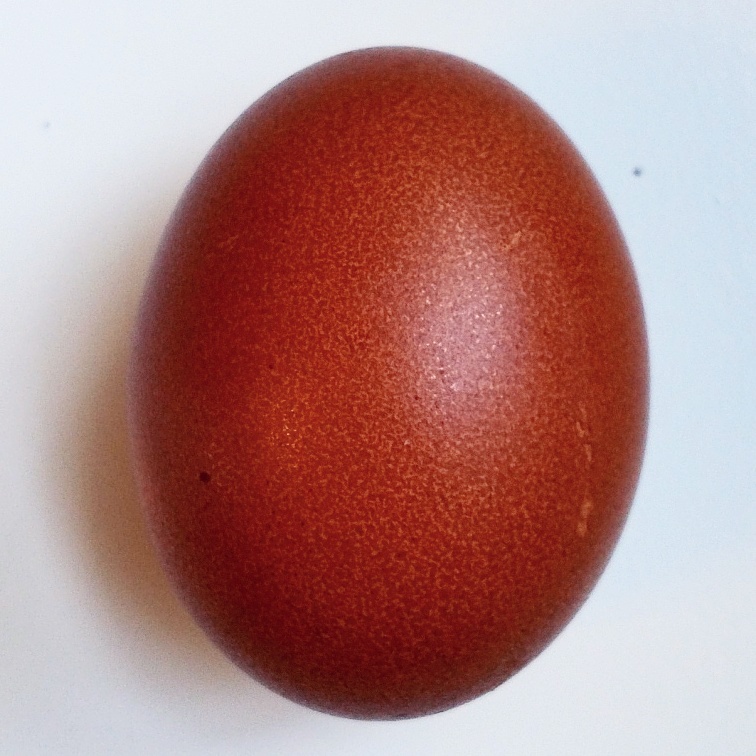 I can’t wait to get that first blue egg and that first green egg from two of my other colourful laying breeds. It will be a colourful Easter, without the food colouring!